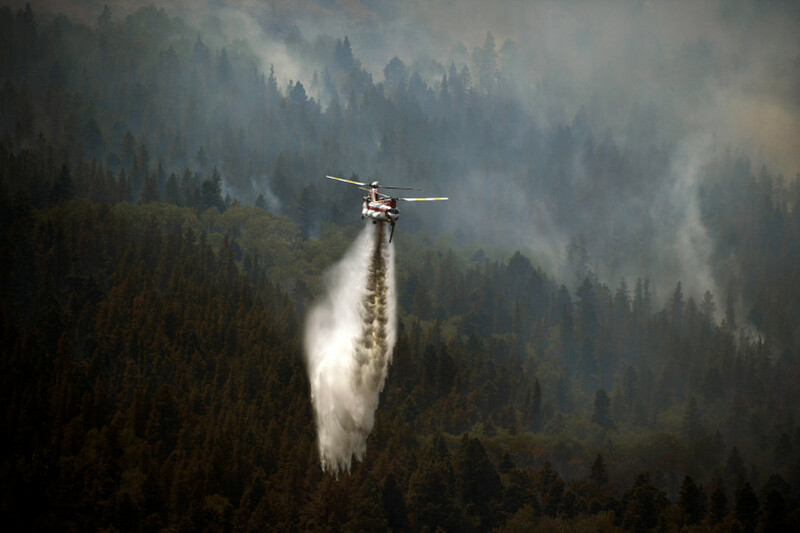 The Lake Christine fire, near Basalt, is 39 percent contained. Showers and thunderstorms, some with periods of heavy rain and hail, swept over the mountains and onto the Eastern Plains of Colorado on Monday, helping firefighting efforts in some areas and raising concerns for flash floods in some burn scar areas. In southern Colorado, including the Spring Creek fire area, burning in Costilla and Huerfano counties, a severe thunderstorm watch was posted Monday night by the National Weather Service. Along with the moisture came cooler temperatures Monday to most fire areas. Lightning associated with the thunderstorms raised concerns about possible new fire starts. The Lake Christine fire continues to move north and east, reaching the south side of Cattle Creek Road near privately owned cabins, fire officials said. The pump and sprinkler system placed around the cabins for additional protection remains in place and crews continue to do structure protection. A mobile fire retardant plant is being deployed northeast of the Missouri Heights area. The plant will expedite the turnaround time for fire-fighting helicopters, allowing for quicker, more precise drops of the fire retardant. The southeastern edge of the fire, near Frying Pan Valley, has not seen significant growth over the past few days, fire officials said. As of Monday night, the human-caused fire, which started July 3 about 1 mile northwest of Basalt, had burned more than 11,790 acres and was 39 percent contained.